Like any social media marketer, a big part of your success relies on how well you know the channels you deal with. With social video quickly becoming one of the most powerful ways to engage audiences, knowing how to stealthily navigate video tools can be the difference between making it as a viral star or getting stuck as a social wall-flower. In this post, we’ll take you through a collection of YouTube hacks and show you how to use these advance features to wow your viewers. Have you ever sent someone a video but wanted them to skip forward to a specific point? Like when your boss is interviewed in a clip, or—better yet—to that moment when the infamous Cobra Cat earned its moniker? Rather than giving your viewer a time to fast-forward to, you can easily create links that automatically jump to the desired point in a video. There are two ways to go about doing this. Shortly after entering your Start time, you’ll notice a little tag added to the end of the video link denoting your start-time. In the example above it’s ?t=1m41s. Copy the link and share it. 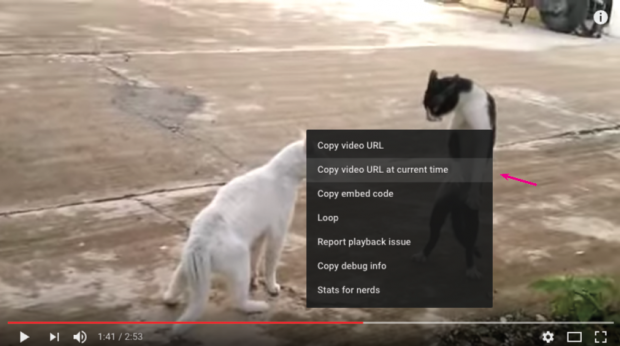 YouTube automatically generates transcripts for every video created on its platform. For the busy social media marketer, there are tons of ways that this function can come in handy—like when you want to pull quotes from an interview or convert a video’s script into written collateral. The full transcript will appear below the video. Keep in mind that many video creators don’t edit their transcripts so it might not be perfect. Image via Hootsuite on YouTube. Content creators and marketers know that visibility is key. And one of the best ways to improve visibility is through search engine optimization (SEO), which will get your content to appear higher up in online search results. An easy way to optimize a YouTube video for search engines is by adding a transcript to your video’s description field. Uploading your transcript as a file. 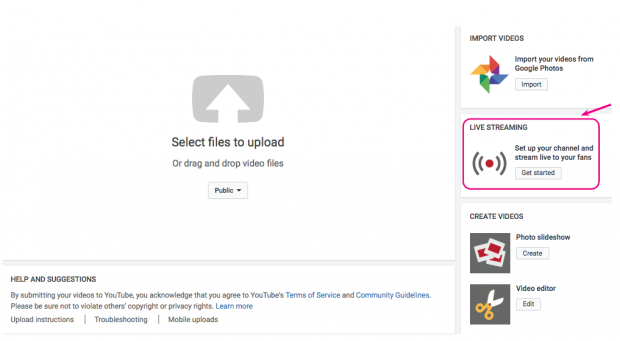 Google (YouTube’s parent company) gives a good breakdown of what types of files you can upload. Typing or pasting in your video’s transcript where subtitle timings will be automatically set. Typing in your subtitles or closed captions while you watch the video. Paying a professional service to transcribe (or translate) your video for you. To learn more about this service check this resource post out. 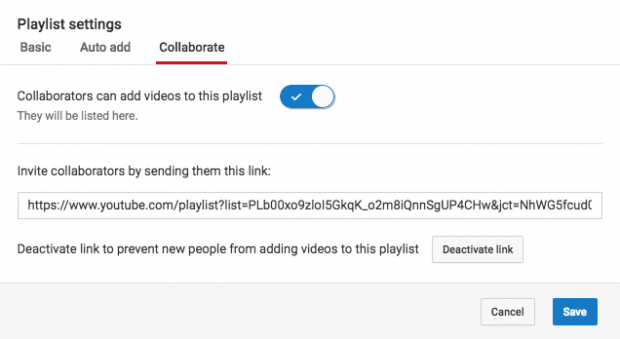 Adding playlists to your YouTube channel is a great way to help your viewers find and share your videos. Activewear retailer Lululemon uses playlists to sort their videos by a number of categories—including product type and region—making it quick and easy for their fans to find videos of their interest. Image via Lululemon on YouTube. To add a video to your playlist, you can go about it in two ways—either while you’re watching it or while you’re in your Playlist page. 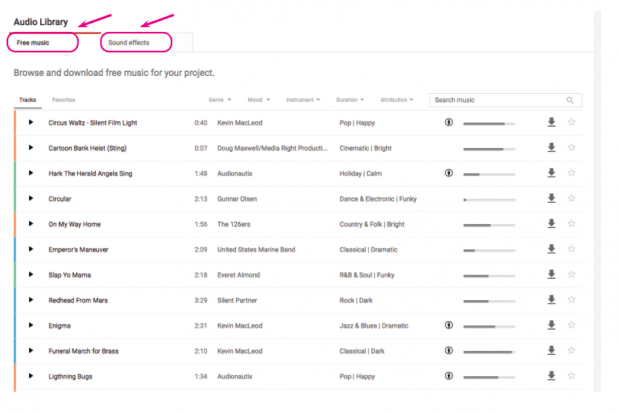 Now to get real fancy—you can also invite friends and other viewers to collaborate on your playlists. Ever found yourself deep down a research rabbit hole when an amazing video catches your eye? Rather than lose your focus, wouldn’t it be great if you could earmark it to watch later. Rest easy, social media friends. Now you can with YouTube’s Watch Later feature. 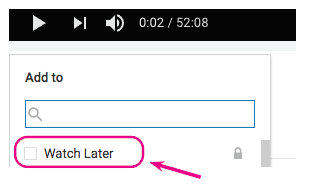 Similar to Facebook’s Save Video feature, YouTube’s Watch Later feature makes it easy to save videos on the fly for a later viewing. In social media marketing, engagement is key to success. It’s not good enough for a fan to see your content, you want them to interact with it too. 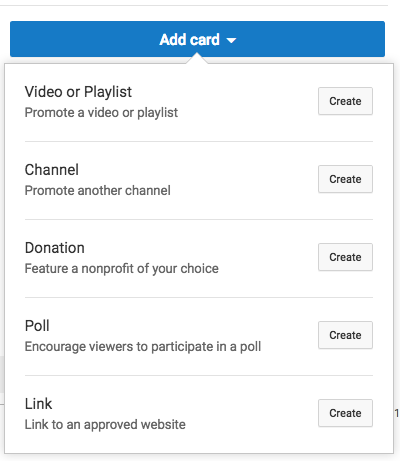 Thanks to YouTube’s cards feature, your audience can now easily engage with your videos. YouTube cards are essentially little pop-up boxes that can be added to your videos to draw the viewer’s attention to another area of interest—like other videos, channels, your website, and even polls. They’re also friendly in both computer and mobile formats. The longer you can keep your viewers engaged the better chance you have at driving home your campaign. A great way to do this on YouTube is through end screens. Not sure what we’re talking about? End screens are images that appear during the final five to 20 seconds of a YouTube video. They’re used to promote other videos or content. 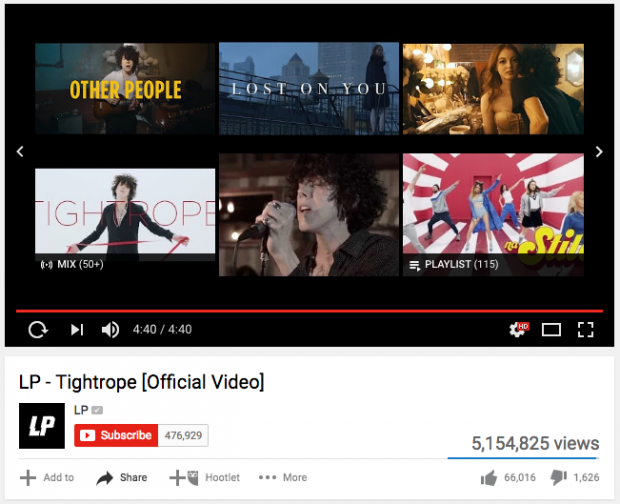 You’ve likely seen many of your favorite musicians use them to draw you to their other songs—like the one placed at the end of LP’s Tightrope video. Image via LP on YouTube. 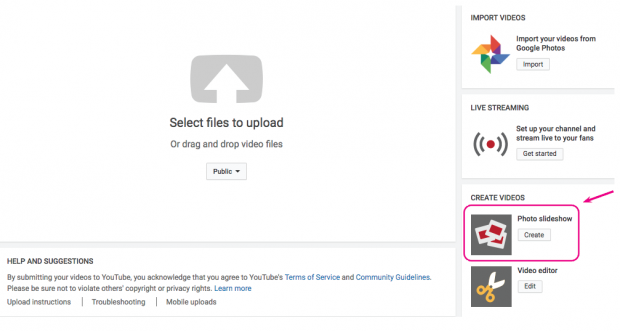 Learn more about YouTube’s URL eligibility requirements, on the platform’s help page. If your channel meets the eligibility requirements, you’ll see a URL eligibility prompt listed in your Advanced account settings. Important to Note: Make sure that you’re 100 percent satisfied with your customized URL name before saving. You won’t be able to make any changes to it once it’s created. And just like that, you’ve created a custom URL that your audience can easily reach you at. YouTube’s Audio Library is packed with great quality sounds and music. It’s a great resource for any creative looking to add more flare to their videos, and better yet, all files are royalty-free! Maybe your business is ready to upload a series of videos, but you don’t want to bombard your subscribes with a series of updates in a short window. 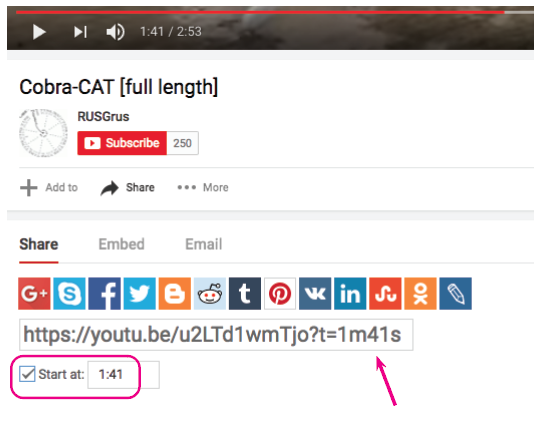 If you manage your YouTube channel using Hootsuite, you can easily upload video and then save it to publish later. Watch the how-to video to learn how. YouTube content doesn’t have to be strictly video. The slideshow feature makes it quick and easy to compile photos into a pleasing presentation. To learn more about YouTube Slideshows, check out this resource page from Google. Got a webinar or presentation coming up that you’d like to live stream? Brace yourselves, you can do it straight from YouTube. Big brands, like learning experience company Mindvalley Academy, have been choosing YouTube for a while now to stream their flagship events as an easy way to interact live with their global audiences. Image via Mindvalley Academy on YouTube. Before you start, YouTube will ask you to check that your channel is verified and that you’ve been free of live stream restrictions for the past 90 days. Once you’ve enabled the above, you’ll have two options to set-up your live stream: Stream Now and Events. 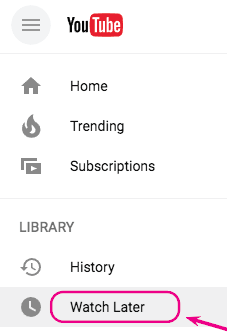 Begin by going to the ‘Upload’ button on your YouTube homepage and click Get Started under the Live Streaming section. From there you’ll be taken to the Live Streaming section of your Creator Studio. YouTube will automatically default to the Stream Now option—the easier to use of their live streaming set-ups. To get your Stream Now started you’ll have to first download and set-up an encoder. Google provides more information on setting up and using the encoder. 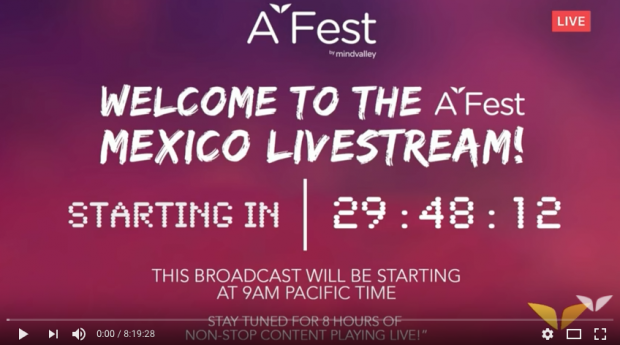 YouTube Events gives you better overall control of your live stream than the Stream Now option. With Events you’ll be able to set your privacy options and start time, enable backup streams, and create multiple simultaneous live events. To get started, click on the Events tab in your Creator Studio and fill in the required details under the Basic Info tab. For more detail on setting up your Events stream, have a look at this Google resource. YouTube 360-degree videos have exploded in popularity since their debut in 2015. Big brands and celebrities alike are using the feature to produce some truly breathtaking videos. Just take a look at this vertigo inducing video from Yves Saint Laurent. But you don’t need to be a big fancy brand to share your 360-degree content. With the right equipment and a bit of technical know-how you too can awe your audiences with an immersive video experience. For the technical nitty-gritty on getting your 360-degree video set-up and published, check out this Google resource page. Can’t stand those ads clogging up your YouTube viewing experience? Well there’s a way to banish them from your life for good with subscription service YouTube Red. Much like Google Play or Spotify, YouTube Red gives you an ad-free video and audio experience for a small monthly fee (currently $9.99). Better yet, you can save those videos to watch offline—goodbye boring in-flight entertainment! Worried about what videos your munchkins have access to at home? With YouTube Kids you can control what they see with ease. Unlike the standard YouTube, Google built the kid version using filters to weed out any non kid-friendly content. Oh, and it’s totally free! To get started, simply download the app (it’s Android and iOS friendly) onto your child’s device. Once downloaded, you can further define your child’s viewing experience by setting-up how long they’re able to view at a time and determining if they can freely search for content. Hopefully these 15 YouTube hacks and tricks will set you off on the path to an even richer YouTube experience. For tips on building your YouTube channel’s profile, check out our post on 11 Smart Ways to Promote Your YouTube Channel. Use Hootsuite to easily manage your YouTube presence. From within the dashboard you can schedule and publish videos, engage your following, moderate comments, and discover other YouTube content with keyword search streams.